Watch it for: Rocky aka Sylvester Stallone. Michael Jordan. Rocky returns to train and mentor Adonis Creed, the son of his late friend and former rival Apollo Creed. Watch it for: Kajor & SRK’s romance, Rohit Shetty style. SRK and Kajol. Need we say more? Watch it for: Sequel to the Return of Jedi! The Force Awakens is the seventh installment in the glorious Star Wars saga. Years after the events of Episode VI, the learner is set to become the master, teaching others the ways of the force. But something dark lurks in the near future. Is this the return of the dark side? Watch it for: Priyanka Chopra (go watch Quantico, if you haven't already), Ranveer Singh (Bollywood's energybank) and Deepika Padukone. Sanjay Leela Bhansali’s magnum opus on Peshwa Bajirao’s love story. 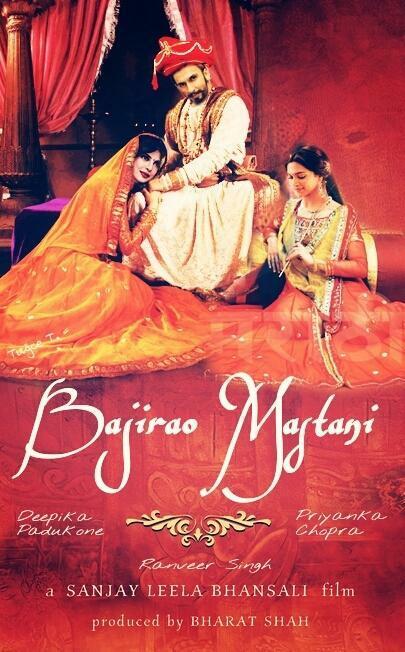 The story revolves around the love story between Peshwa Baji Rao I and his second wife Mastani. Saving the best ones for the young ones! Watch it for: Journey of a passionate boy and his challenge to compete in a paper plane championship. If at first you don’t succeed. Fly, Fly again! Paper Planes is an imaginative children's film about a young Australian boy's passion for flight and his challenge to compete in the World Paper Plane Championships in Japan. Watch it for: From the creators of Inside Out! A humorous and exciting original story about Arlo, a lively Apatosaurus with a big heart. After a traumatic event unsettles Arlo's family, he sets out on a remarkable journey, gaining an unlikely companion along the way - a human boy. Watch it for: From the imagination of Charles M. Schulz and Blue Sky Studios- creators of ICE AGE films. Follow the adventures of the all-time favorite comic book characters, Snoopy and Charlie Brown in 3D. Work Advantage offers exclusive privileges for corporate employees through 225+ brand partners. Enjoy great deals and discounts on your favorite brands. To know more, log on to www.workadvantage.in. Follow us on Facebook, LinkedIn & Twitter. App download from Play store and Apple Store.